This week we asked: What does kid art look like? 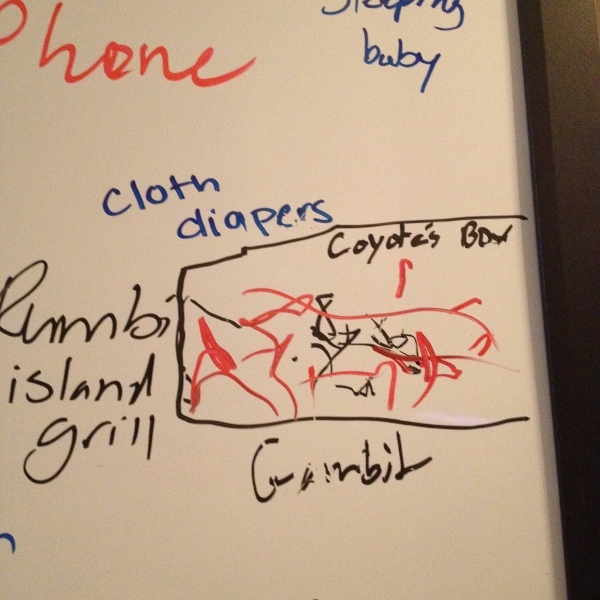 Coyote (4 months) contributes to Mom and Dad’s gratitude list. Geneva blogs at The Mommy Dialogues. 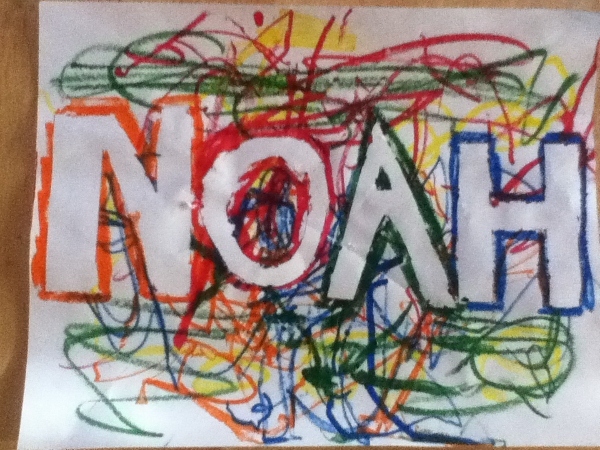 Making the most of toddler scribbles, by Noah and Heidi! Wendy K blogs at ABCs & garden peas. This is Andrew, at age 2.5. 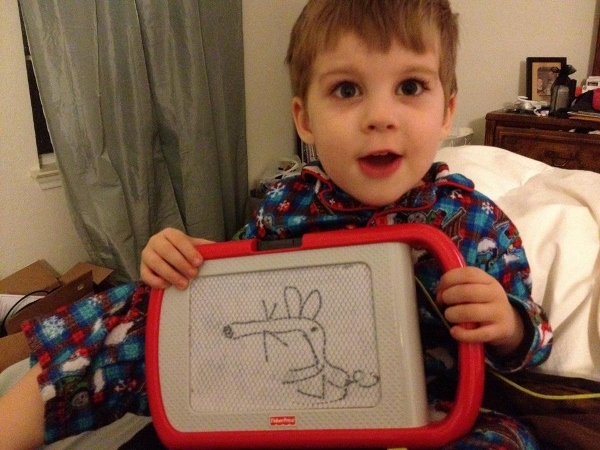 He loves to draw, and this is his version of a mouse! 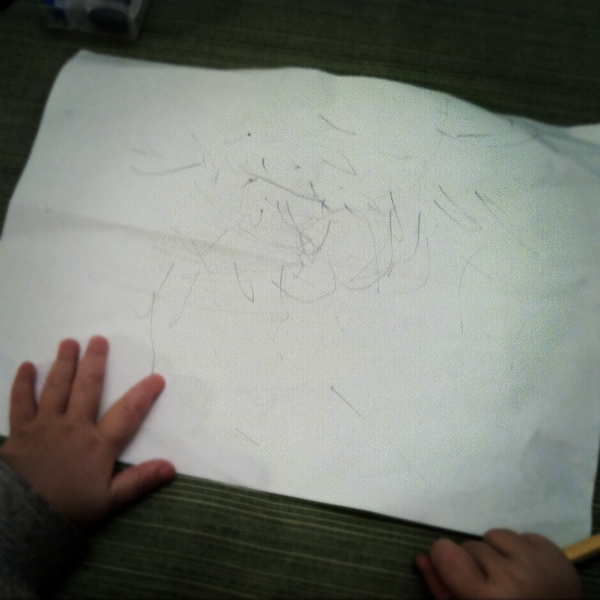 Humnoy’s first free-hand work of (kid) art at 12 months! Submitted by The Laotian Commotion. 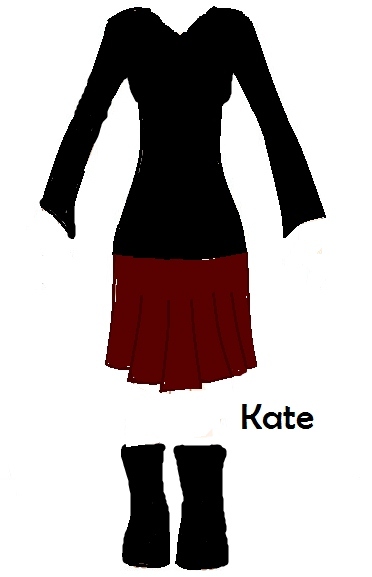 Leta blogs at Attachment Mummy. A recent masterpiece (as Mikko termed it): Two friends in the snow. I get a kick out of how big everyone’s eyes are, and how their smiles go off their heads. Tyler likes to design oufits. Sasha loves to paint with big sister Tyler. Tyler & Sasha’s mommy blogs at Momma Jorje. 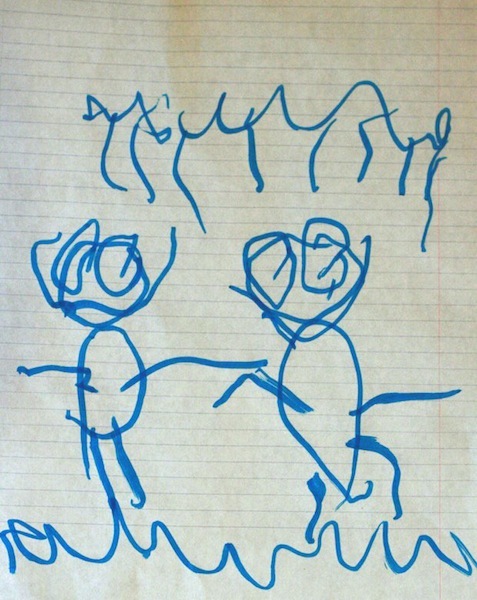 Tell us: What does kid art look like in your family? Love seeing everyone’s artwork! 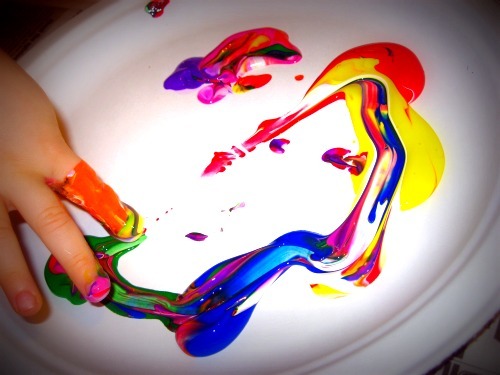 The colorful finger paints are lovely, and Tyler’s got a great eye for design. 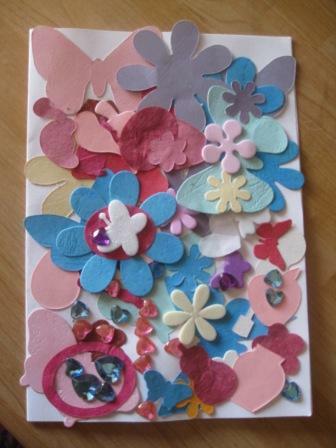 Oh I love kids art – such free expression. Keep creating! I love all of this art! 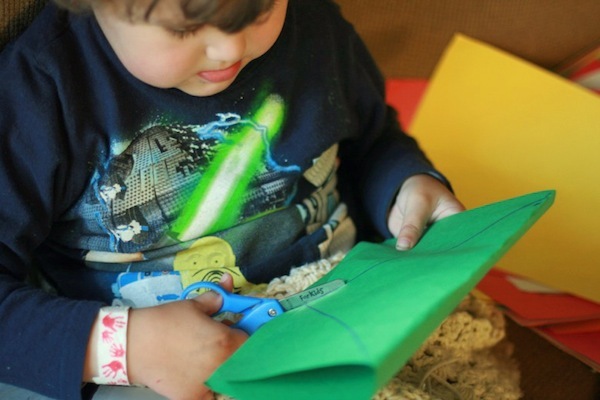 It’s so fun to see what kids can create. Love all of these! 🙂 I can’t wait to get started on art with my little one when she is a bit older (3 months now). Wow, Andrew sure can draw for 2.5!! I can’t believe I missed out on showcasing our ‘wall art’. These are cute. So much fun art! I love the NOAH piece and Wendy’s photo is so gorgeous & colorful! Everyone is so creative! Kid art is so much fun, too, isn’t it?